Let’s face it. Life in a small space can be suffocating at times. Between trying to organize everything to fit functionally and finding privacy is difficult even in the best of times. Check out the apartment life hacks below to bring peace and harmony to your household. It’s challenging for large families to survive comfortably in a small apartment. It’s even trickier for roommates, especially if your first meeting was on moving day. There are several things you can do to alleviate the sardine effect. Keep in mind that a huge mess makes any living space seem smaller. Tempers flair quickly in tight quarters. When everything is neatly stored away, everything seems to flow smoother. Make a list of things which must be done routinely. Divide them among the members of the household. Young children can be given simpler tasks. Some kid-friendly chores include things like dusting, folding laundry, and unloading the dishwasher. If it’s difficult to decide who does what draws straws, so to speak. Write the tasks on pieces of paper and place them in a bowl. The one you draw is your responsibility. Another idea is to designate a day each member is responsible for that particularly distasteful chore. Make a chore chart to display on the wall or fridge. You could use a simple piece of paper and a magnet. Laminate the chart so you can erase and redelegate as needed. A small whiteboard calendar with magnetic strips is generally inexpensive. Help the kids make one from scratch. There are tons of websites dedicated to organizing hacks. A clean and organized apartment is much more harmonious than a cluttered one. 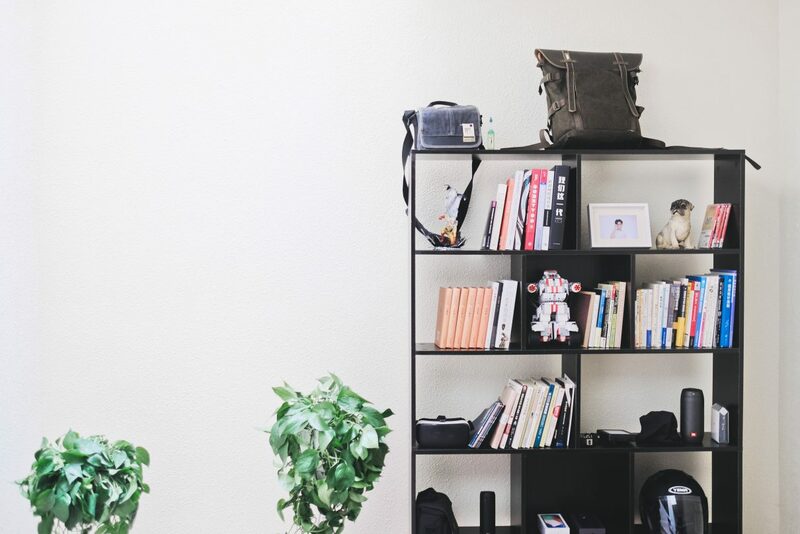 You can find free, mini decluttering courses and email newsletters as well. Scan the helpful hacks listed below to ignite your imagination. Make the best possible use of every tiny nook and cranny. Think up and out of the way. There are many stores dedicated to selling just organizational and storage items. If your household finances don’t leave much to work with, repurpose things you already own. Hit yards, estate auctions, and thrift shops. You’ll need to use your imagination. Try holding a house meeting to allow everyone to make suggestions. Make sure to write them down so you can implement them later.